Visual Studio for Mac provides a full-featured Integrated Development Environment (IDE) for developing .NET Core applications. 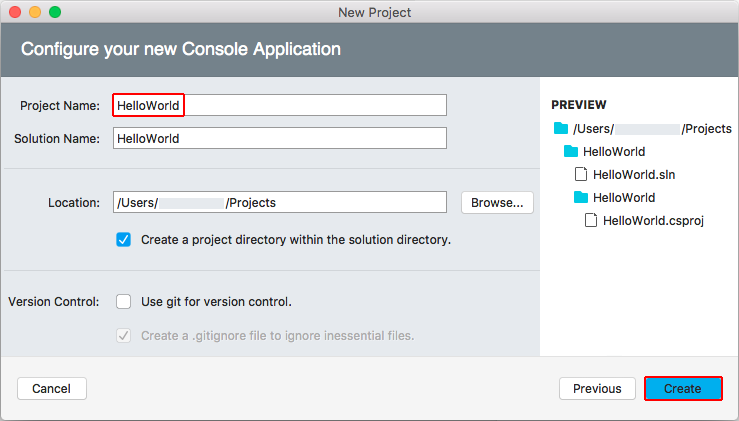 This topic walks you through building a simple console application using Visual Studio for Mac and .NET Core. In Visual Studio for Mac, select Help > Report a Problem from the menu or Report a Problem from the Welcome screen, which will open a window for filing a bug report. You can track your feedback in the Developer Community portal. To make a suggestion, select Help > Provide a Suggestion from the menu or Provide a Suggestion from the Welcome screen, which will take you to the Visual Studio for Mac Developer Community webpage. See the Prerequisites for .NET Core on Mac topic. Download the Visual Studio for Mac installer. Run the installer. Read and accept the license agreement. During the install, you're provided the opportunity to install Xamarin, a cross-platform mobile app development technology. Installing Xamarin and its related components is optional for .NET Core development. For a walk-through of the Visual Studio for Mac install process, see Visual Studio for Mac documentation. When the install is complete, start the Visual Studio for Mac IDE. Select New Project on the Welcome screen. In the New Project dialog, select App under the .NET Core node. Select the Console Application template followed by Next. Type "HelloWorld" for the Project Name. Select Create. Wait while the project's dependencies are restored. The project has a single C# file, Program.cs, containing a Program class with a Main method. The Console.WriteLine statement will output "Hello World!" to the console when the app is run. Run the app in Debug mode using F5 or in Release mode using CTRL+F5. 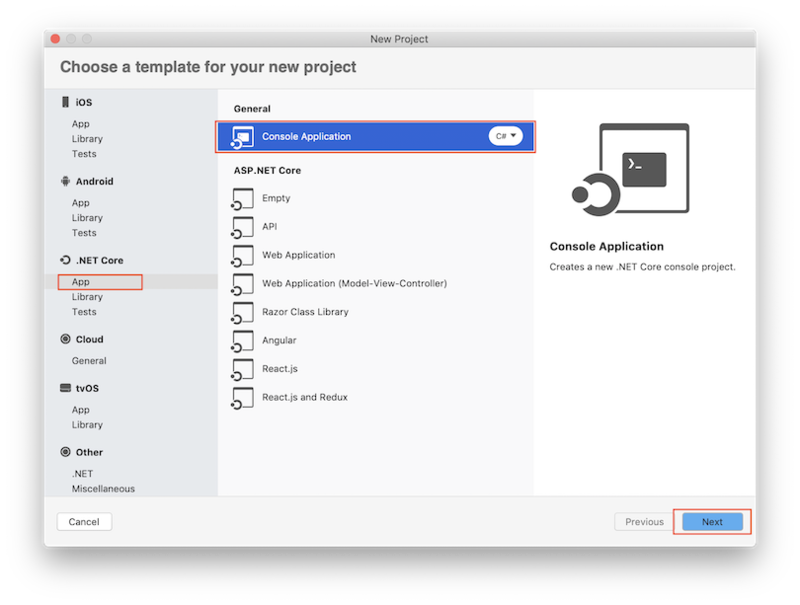 The Building a complete .NET Core solution on macOS using Visual Studio for Mac topic shows you how to build a complete .NET Core solution that includes a reusable library and unit testing.